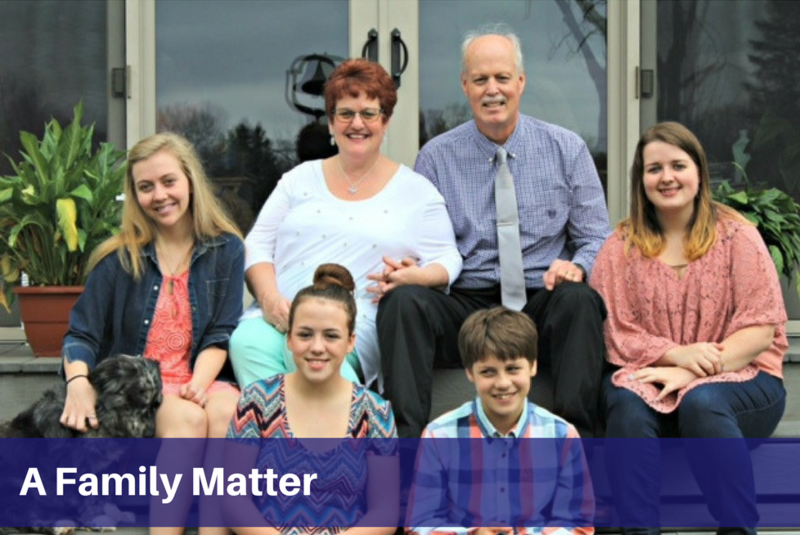 A Family Matter | Highfields, Inc.
Sandra and Pete were starting to lose control of their house. Their adopted son, Chase, was becoming violent and affecting the whole family. Thanks to your support, Sandra and Pete found a partner to work alongside them and help keep their family together. Sandra and Pete have children ranging from age 37 to age 12. Their two youngest children, Bailey and Chase, were adopted from foster care, and have special needs. As Chase grew up, he become violent and out of control. He had no respect for his older siblings and refused to listen to his parents. When Child Protective Services got involved, Sandra and Pete knew something had to be done. MST stands for Multisystemic Therapy and it is an evidence-based treatment program that addresses the many systems in a child’s life (such as their home, families, and school). Highfields’ Therapist Morgan Guy came over to their house and met with the whole family. They went around the room and discussed what challenges they face and what they’d like to see changed within the family. Sandra was impressed with how Morgan listened to everyone and made it feel like a team approach. Morgan identified that Chase needed more boundaries at home. He wasn’t following through with his chores, homework, or good behavior because he didn’t know what the expectations were. Morgan helped the family implement a rewards and consequences system to motivate Chase to keep his behavior on track. Chase was involved in the process and helped pick out his rewards which include skating, going to the movies, and bowling. Morgan made sure that everyone knew the expectations for the home so they were all on the same page. She also gave them the tools to handle situations in the future.